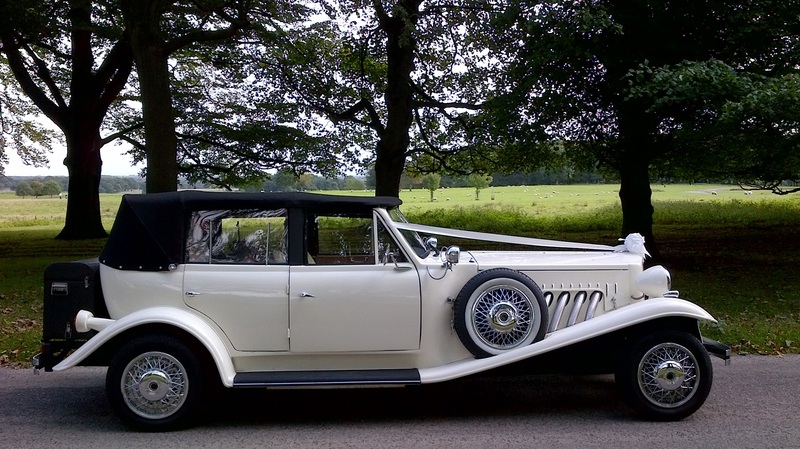 This classic 1930s style open top tourer has the elegance, class and style of days gone by. 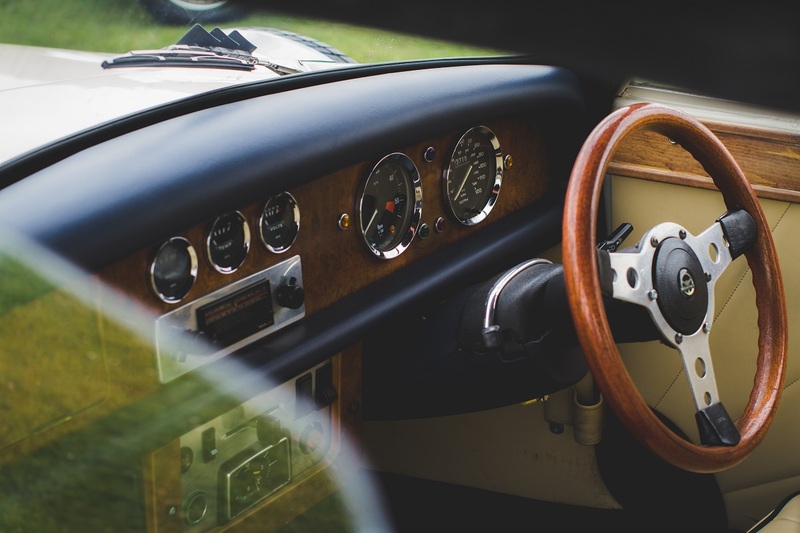 With its character and beauty, it really is a car that looks great in all seasons. 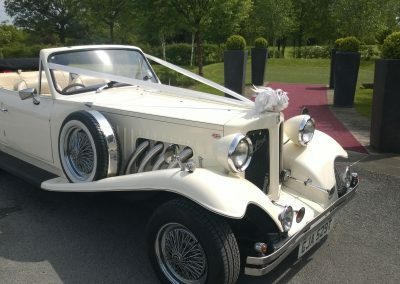 Finished in Old English White with cream leather interior and wood trim, you can be sure that it will provide a grand entrance to any wedding. 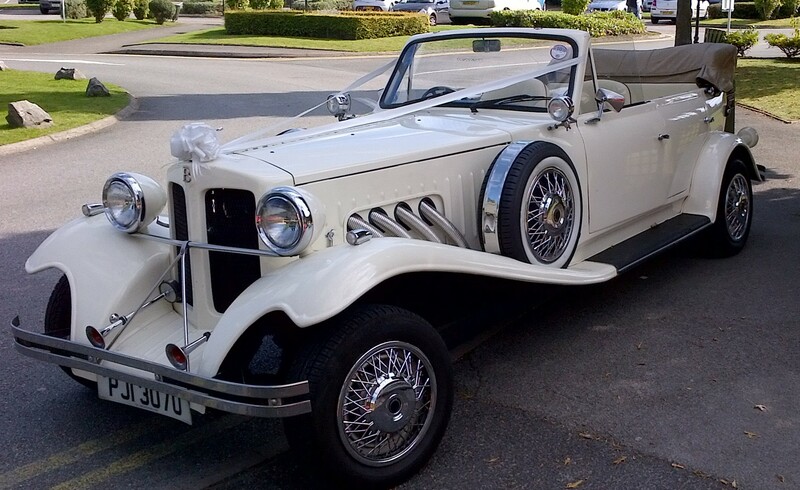 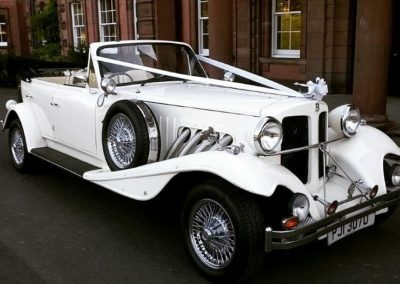 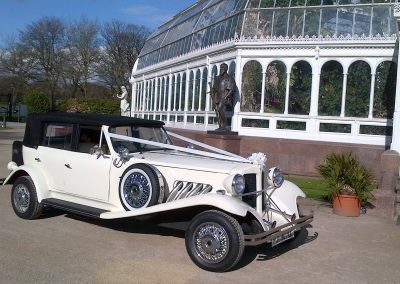 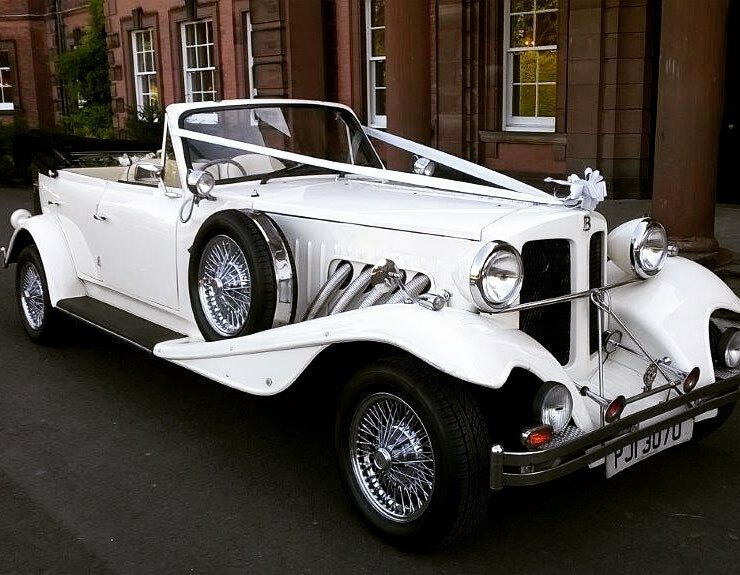 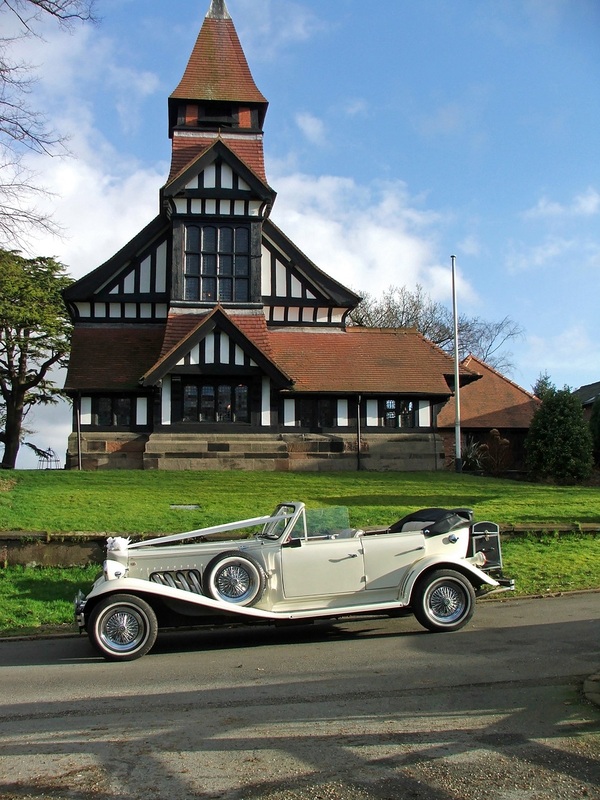 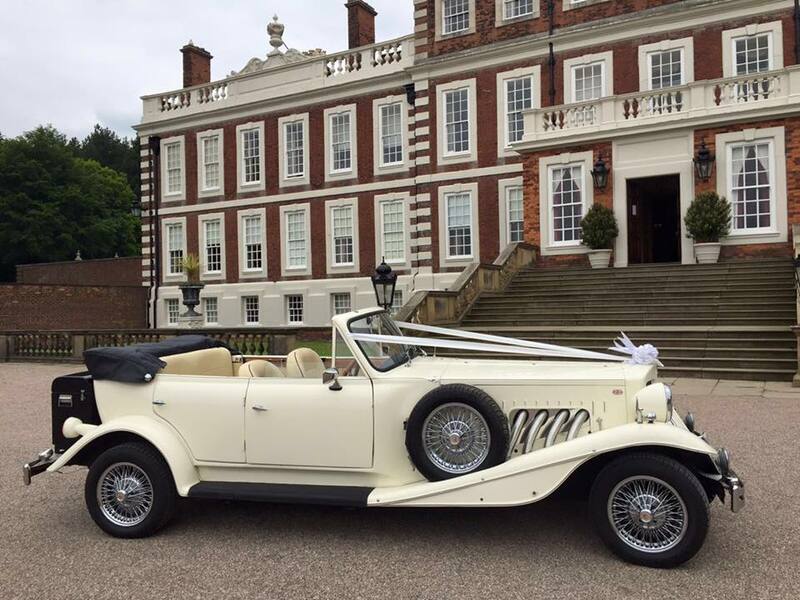 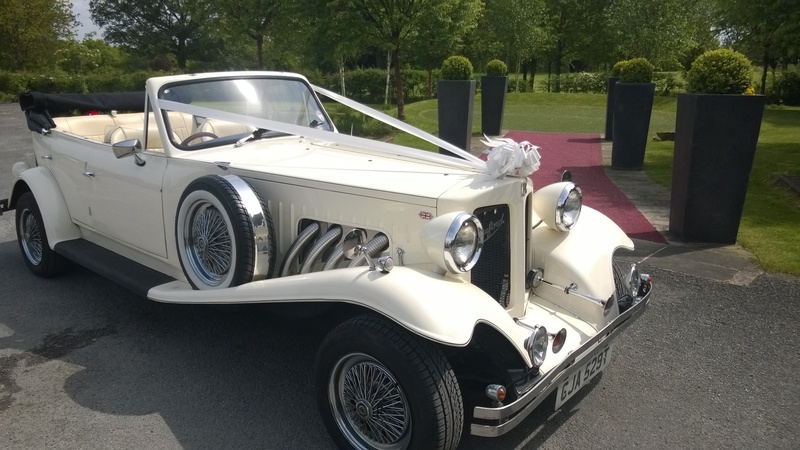 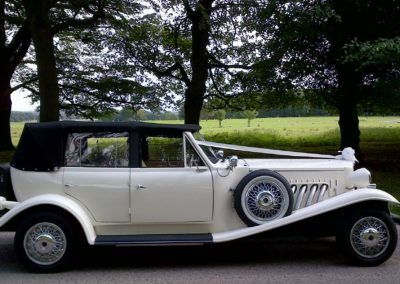 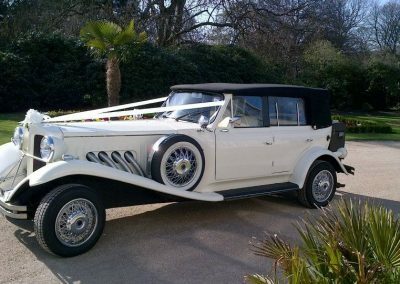 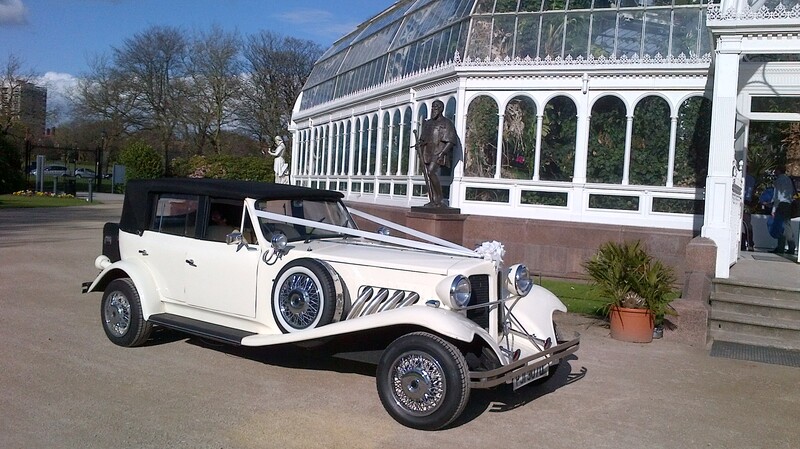 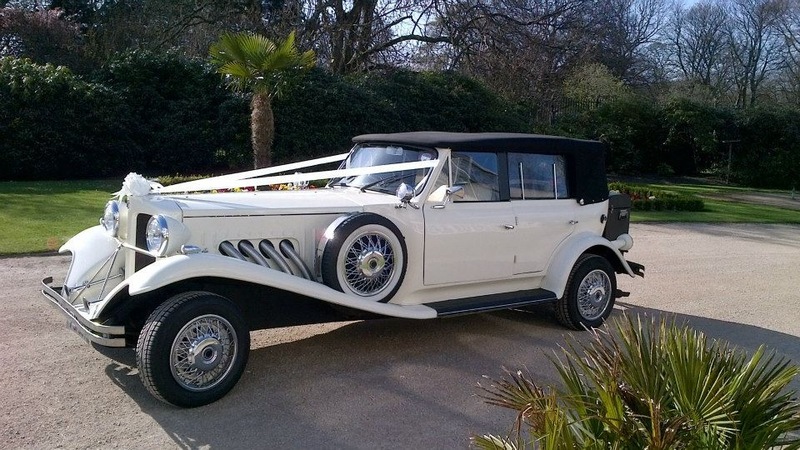 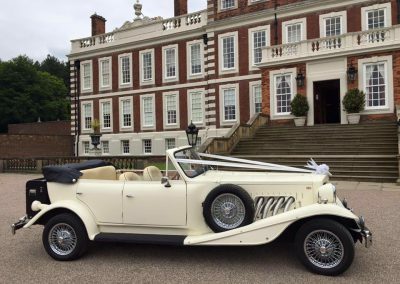 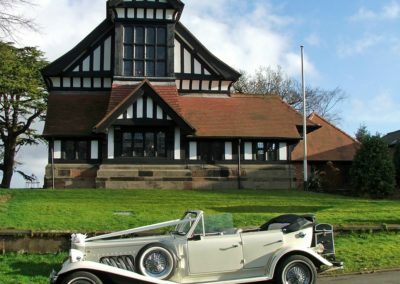 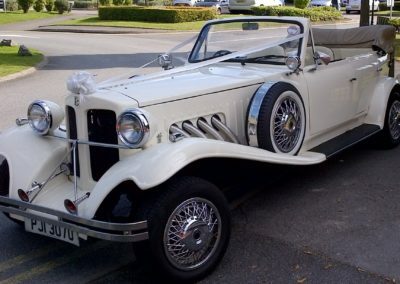 Unsurprisingly, the Beauford is one of our most popular hired and requested wedding cars.